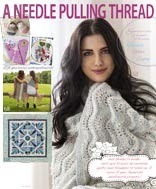 Hi, I’m Jeanette Smith and I blog at Stamp * Stitch * Create. I live in Dartmouth, Nova Scotia with my awesome husband of 14 years and 2 daughters aged 10 and 7 years. I was born in Summerside, Prince Edward Island, and will always be “from” PEI no matter where I live! My parents and 2 of my 4 siblings are still there, so we get to visit there a lot, such a beautiful place in the summer! I’ve always loved trying new crafts. I do a lot of paper crafts (hand stamped cards, scrapbooking) and I love to sew. 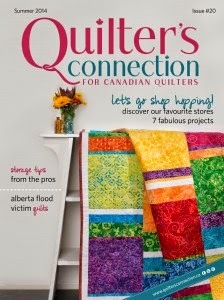 Sometimes quilts, baby blankets, purses, infinity scarves-the list goes on. I knit a little, mainly just scarves and thrum mitts- but I would say that is mainly a winter past time for me. After graduating from Dalhousie as a Dental Hygienist, I found the nights a little long - I was so used to studying that I found I needed to occupy my time. I started tole painting with a friend. 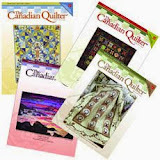 Then, after getting married when I was 22, we moved to Lethbridge, Alberta for 4 years and I discovered a lovely quilt shop named Thistledown Quilts. I was terribly homesick, and when I walked by the shop I always noticed a group of ladies about my Mom’s age laughing and having fun. I think I was drawn to that sense of community as much as the beautiful projects hanging all over the walls. So, a friend and I signed up for a beginners class, I went and bought a sewing machine and all the rest of the supplies and never looked back! Hooked from the first table runner. Last September I was asked to be featured in an article called Passport to Creativity in the Canadian Scrapbooker’s magazine fall issue. 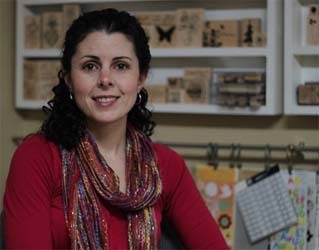 I displayed some of my scrapbooking pages and also did an interview. I have to say, that was pretty cool and the kids were very excited to have their photos in a magazine! I’ve finally gotten brave enough to try my hand at craft fairs and sell some of the things I make. I discovered a local group called the East Coast Momma’s Collective and did a show June 24th. It was busy creating inventory for that. Right before a show I start to worry that my items will not be “good enough” but I’m committed and will follow through so will try to not let my self-doubt get the best of me!! 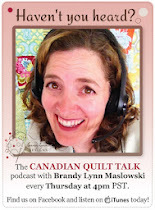 Another recent big change for me: This year, I decided to retire from my hygiene career and stay home with my kids, and focus on this new sewing venture. I think I work more hours now than I ever did at the dental office, but this is much more fun! I’m not one to think to far into the future, just change direction as necessary when the time comes. 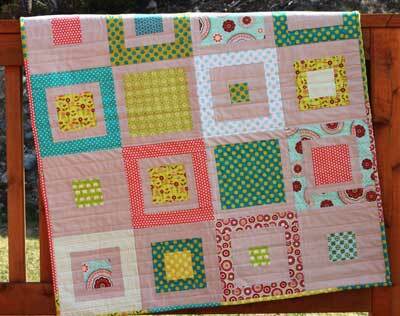 Now that the June 24th show is over, I’m going to take a break from the smaller items and work on a few bigger projects, I’d like to try my hand at a few more baby quilts that I display at a local shop in Halifax called Rusty Hinges. My biggest d ream for myself is more a dream for my family as a whole. I want my girls to grow into confident, self-assured young women who are independent and strong in this big world. I want them to enjoy their lives and be interested in the world around them. Hubby and I like to travel, we will be heading to Europe in 3 months and travelling through Hungary, Germany and the Czech Republic. I also love photography and am excited to go and take photos of all the lovely architecture there. We will be visiting some castles, and Prague is full of old churches that will be lovely to photograph. I’m wondering if I’ll find any fabric stores there..........although I have been told clothes and shoes are cheap in Budapest! The tulip quilt is machine appliqued and hand quilted. 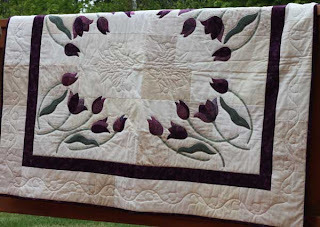 I made this about 11 years ago at Thistledown quilts and it is still a favorite of mine. I have to admit, I am proud to have made it (and finished it!) About the two other quilts shown above: The gray and aqua is from a tutorial I found online at Fresh Lemon quilts. 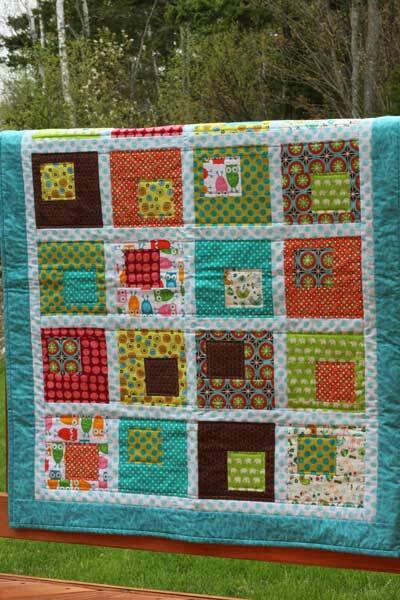 The aqua and bright green is a pattern from Moda Bake Shop. 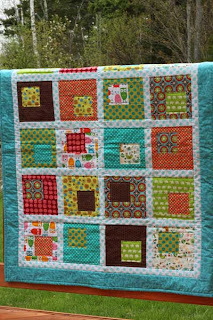 This was a commissioned quilt that I made for a friend who is a teacher at my children’s school. 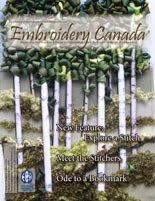 I also want to thank The Needle and Thread Network for providing a Canadian only website- I love to see what local people are up too. Thanks for featuring me for your Feature Friday! !